Coca-Cola has taken a stake in BodyArmor, a sports drink supported by Kobe Bryant, in the soda giant’s latest bid to challenge market leader Gatorade, the two companies announced Tuesday. Coca-Cola will take a minority stake in BodyArmor that could later be increased and grant the smaller company access to the Coca-Cola bottling system. Terms were not disclosed in a joint statement. The move comes as Coca-Cola and PepsiCo, which owns Gatorade, face challenges growing soda sales because of concerns about obesity and artificial sweeteners. The joint press release emphasized that BodyArmor contains no artificial colors or flavors and that a diet version of the drink is naturally sweetened. BodyArmor will be “a strong offering to our system alongside our already powerful hydration portfolio as we accelerate our position as a total beverage company,” said Coca-Cola North America President Jim Dinkins. 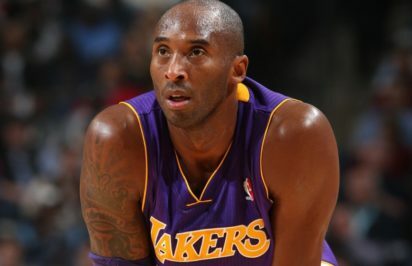 Retired basketball star Bryant, now the number three shareholder in BodyArmor, took a direct shot at the competition. “Proud of our team at @DrinkBODYARMOR & our new partnership with the @CocaColaCo who believes in our mission of becoming the #1 Global Sports Drink,” he said on Twitter.